I’m pretty lucky to have two little helping hands in the kitchen. CJ loves to cook. It may take just a few extra minutes and a little extra clean-up but the quality time spent together is well worth the effort. 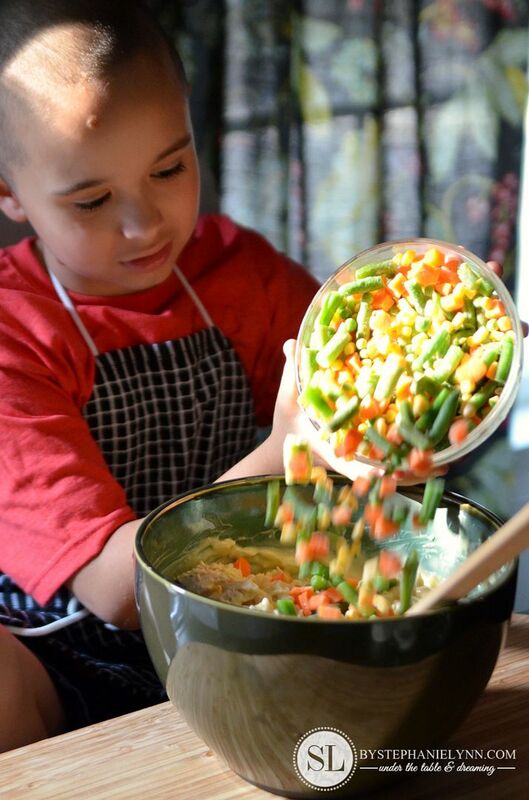 Even though the time spent together is amazing – in our house, cooking together as a family means a whole lot more. 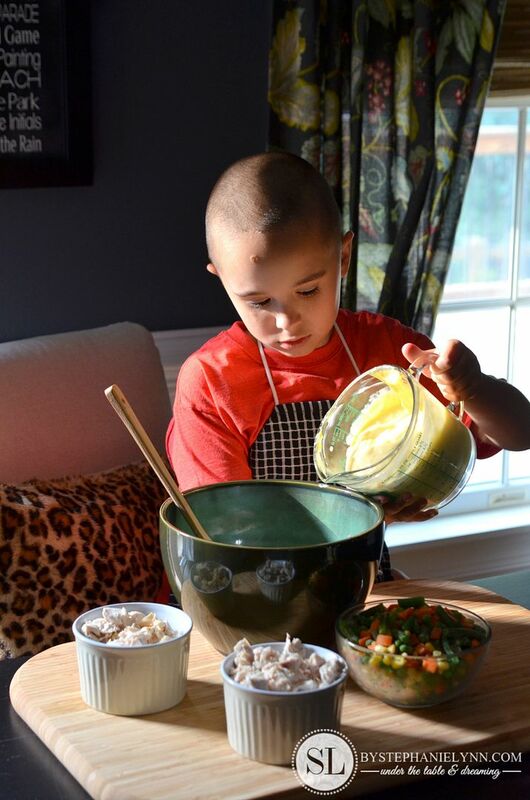 As much as CJ loves to prepare food he surprisingly can’t eat any of it – as he is solely fed by a feeding tube. Keeping him interested in food and aware of different smells and textures actually carries many therapeutic benefits. I am always keeping my eye out for recipes with simple basic steps. Anything I can lay out ahead of time and let him have full control over are winners. It not only keeps him involved in mealtime but gives him a sense of accomplishment as well. Today’s recipe cannot be any simpler. 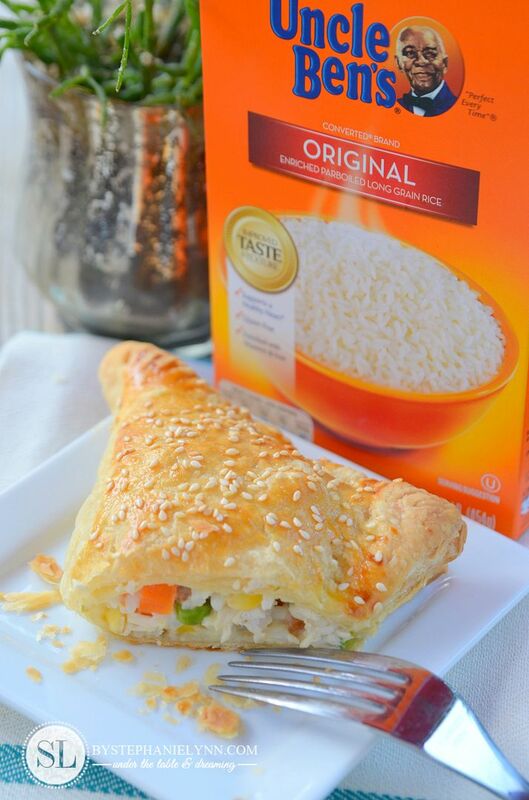 This Easy Chicken and Rice Turnover Recipe is adapted from Uncle Ben’s® Easy Chicken & Rice Pot Pie. 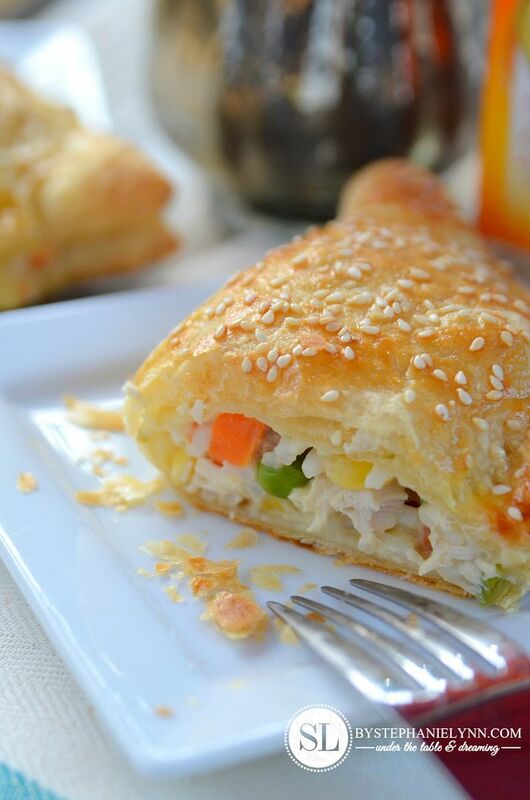 These family friendly pleasers are packed with the comforting and flavorful filling of a chicken pot pie – neatly packaged in a portable, hand held pastry puff dough. 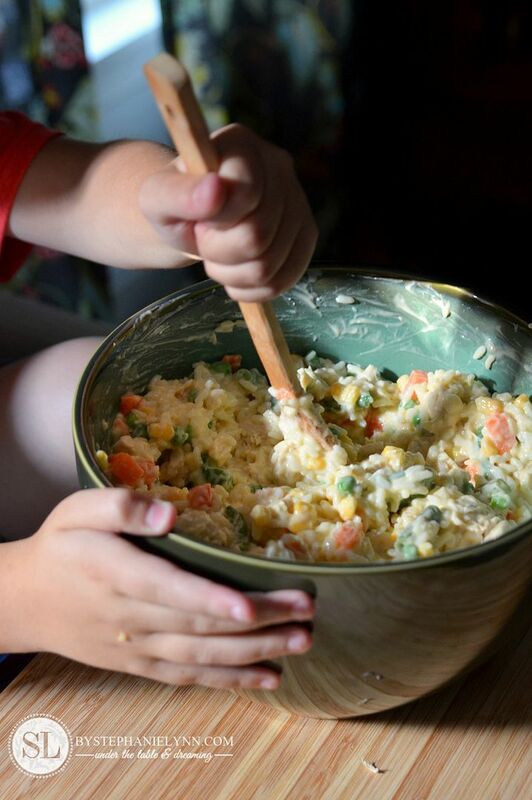 This recipe is perfect for little helpers. 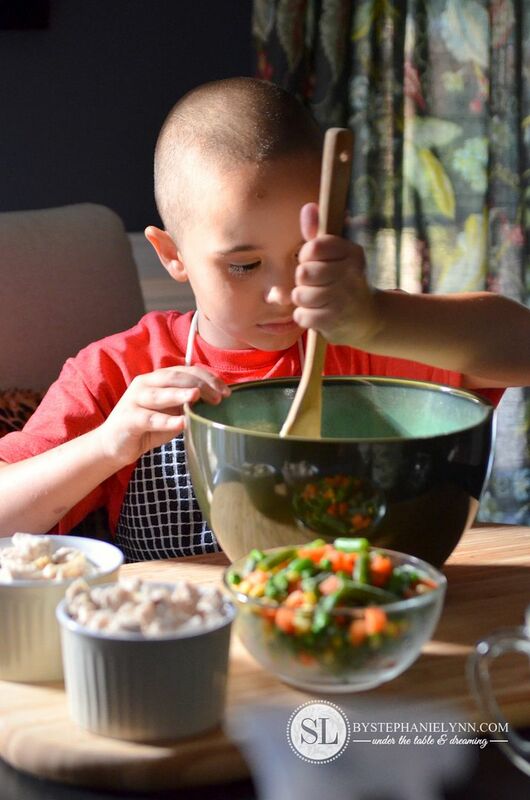 I simply place all of the prepared ingredients in small bowls and give my little guy full creative control. 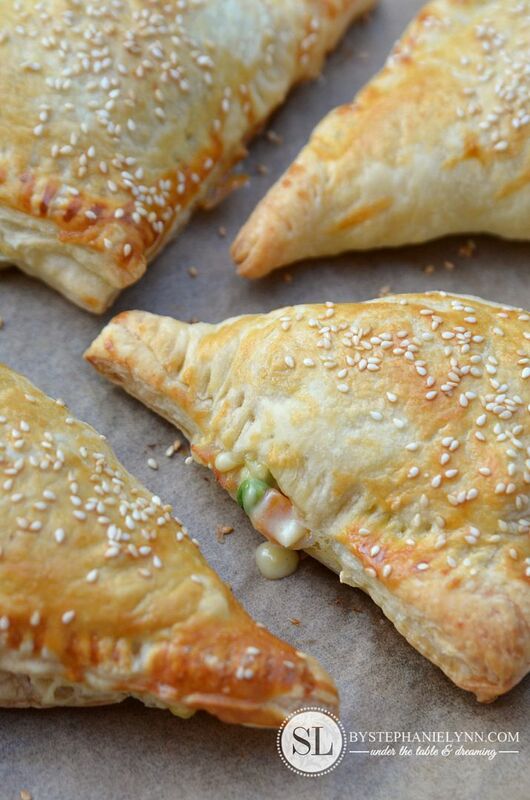 The filling recipe is fool-proof. 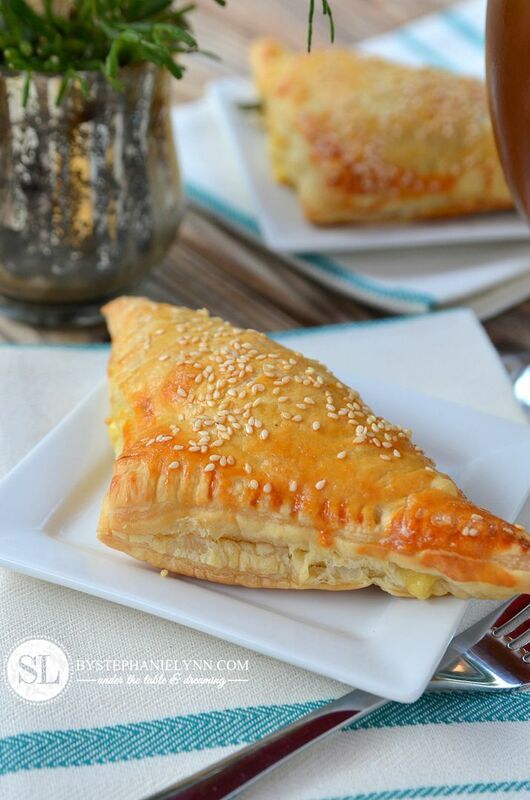 And while you can call it a day and place the filling in a large casserole dish – it is just as easy to roll out some prepared puff pastry dough and make these delicious turnovers. These precious little hands just melt my heart. Prepare the rice according to the box directions. Use the calculations for 4 servings (which equals 4 cups of cooked rice). Also cook the chicken as desired. I like to boil or poach skinless, boneless chicken breasts for casserole filling such as this. It takes just a few minutes and the chicken stays moist and tender. In a small bowl whisk together the cream of chicken soup and milk, set aside. In a large bowl mix together the rice, chopped chicken, and frozen vegetables. Stir in the cream of chicken soup mixture and season with salt and pepper. 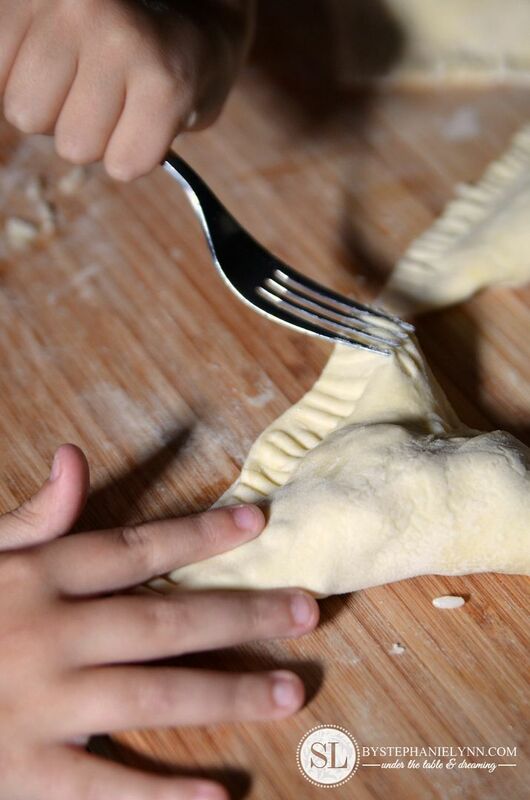 On a clean, smooth, lightly floured surface unfold the pastry puff sheets. 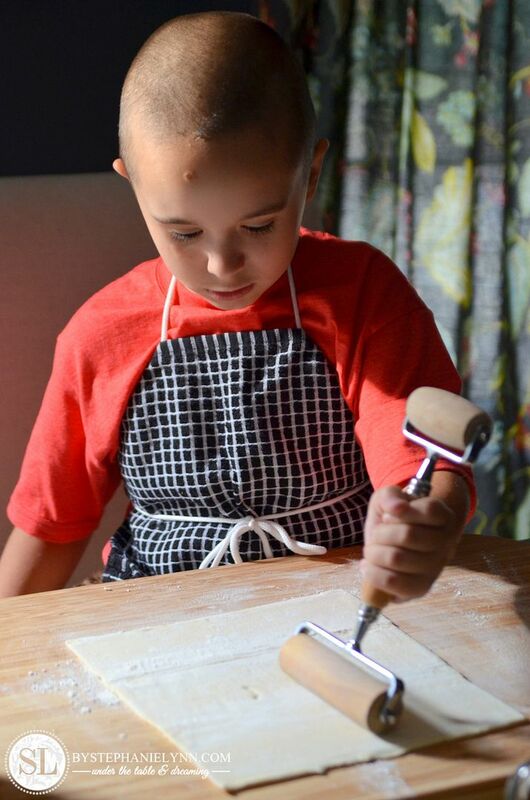 Use a rolling pin to roll each sheet of dough into a 12 inch X 12inch square. Then cut the dough into four even squares. Scoop approximately ¼ cup of filling onto the center of each dough square. 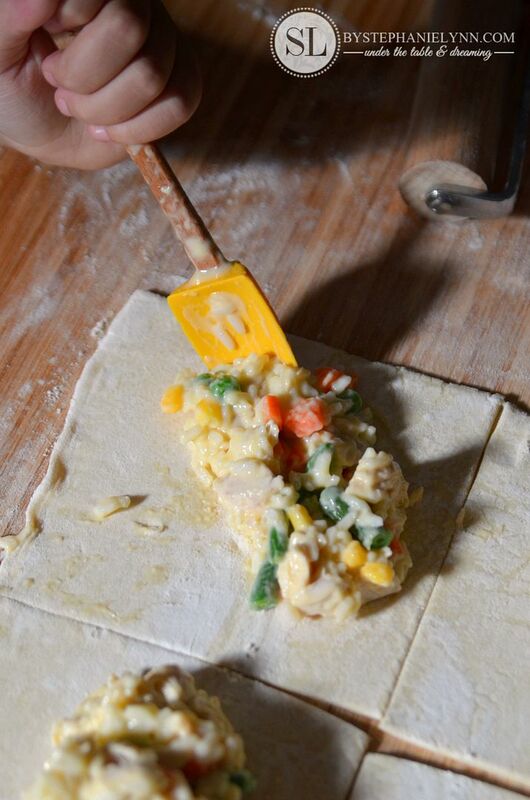 Fold the dough squares (opposite corners together) to form a triangle. Seal the outer open edges by firmly pressing them together and crimp with a fork. Carefully place the turnovers on a baking sheet with lined parchment paper. 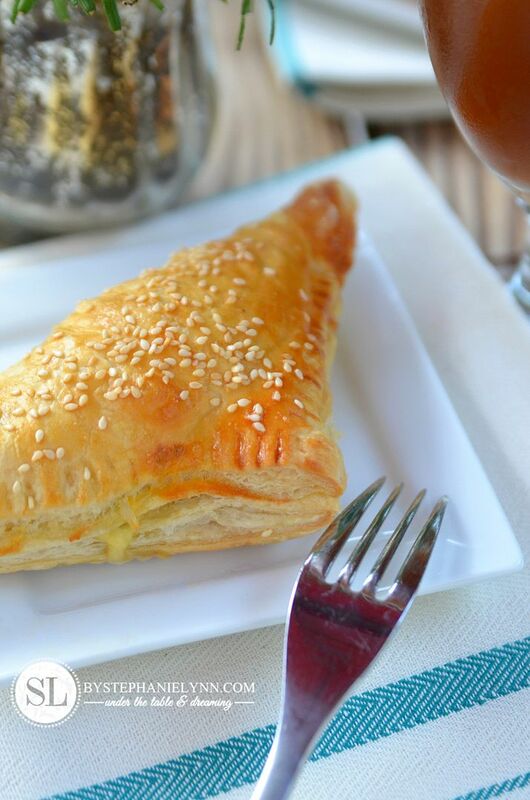 In a small bowl whisk the egg yolk and brush a lightly layer on the surface of each turnover. Bake 20 to 30 minutes, until the pastry has turned golden brown. wow – this looks amazing to make! I can’t wait to do them during the week. 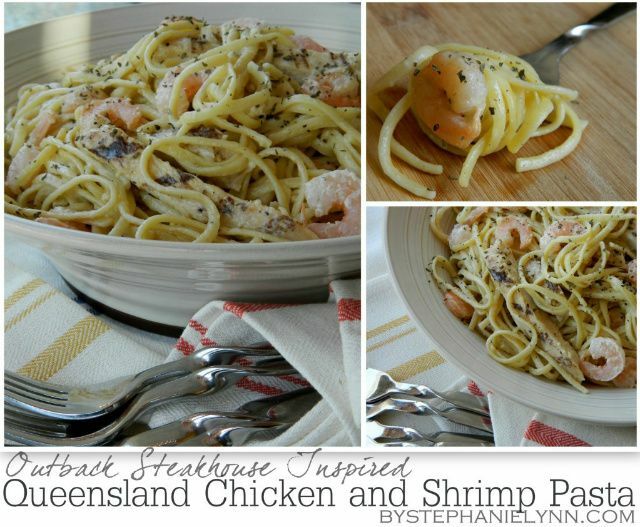 Great pics and recipe thanks much!